YU undergraduate women and men visit some of Israel’s most exciting and revolutionary companies. From January 13 to 20, 2019, Susan Bauer, executive director of the Yeshiva University Career Center, escorted twenty undergraduate students over their winter break to visit some of Israel’s most dynamic companies and meet with leading Israeli entrepreneurs. “Being part of the YU network has been a key factor in my career,” said Ovi Jacob ’05SB, director of business development at Vayyar. In addition to visiting an array of companies, the group heard shiurim (lectures) from several of the YU roshei yeshiva (school leaders), who delivered lectures on the synergies between Torah wisdom and contemporary business ethics. Dr. Yehudit Abrams, a former NASA researcher who is now CEO and Founder of MonitHer, makers of an at-home hand-held monitor for early detection of breast cancer, delivered an inspiring address to the group as well. The students visited the Zomet Institute, an Israeli high-tech nonprofit organization specializing in IT equipment and electronic appliances designed to meet the requirement of halakha. 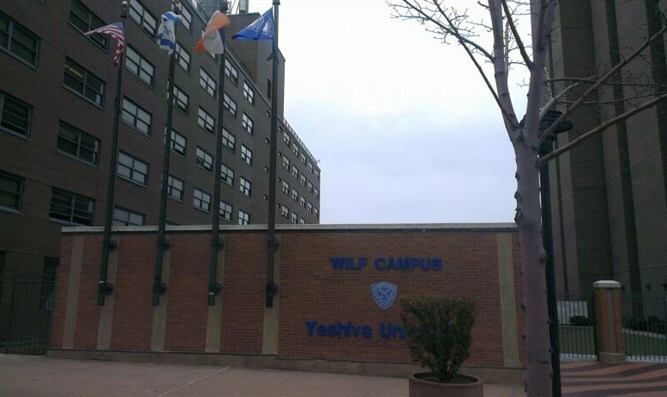 This month, in collaboration with Yissum, Yeshiva University is opening the YU Innovation Lab, a NYC- based hub for Israeli startups, YU students and faculty that will provide access to the NYC startup ecosystem for Israeli startups. The Lab will serve as a launching pad for Israeli entrepreneurs in NYC, providing them with business infrastructure, access to talented students, and access to YU’s network of expert mentors. The Lab will host professional workshops and events, fostering economic development and building local community partnerships with the wider NYC tech ecosystem. The synergy between YU students, faculty, Israeli startups and the greater YU network, together with access to NYC business resources and local stakeholders, will create a launching pad for the startups to jump-start in the US.